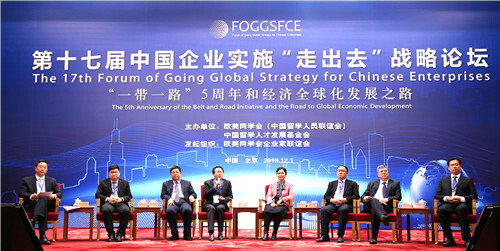 Initiated by the Western Returned Scholars Association Entrepreneur Alliance (WRSAEA) and sponsored by the Western Returned Scholars Association (China Overseas-Educated Scholars Association) and China Overseas-Educated Scholars Development Foundation, the 17th Forum of "Going Global" Strategy for Chinese Enterprises was held in Beijing on Dec 1, 2018. 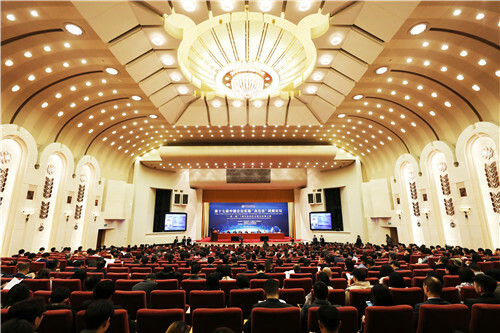 Themed "The 5th Anniversary of the Belt & Road Initiative and the Road to Economic Globalization", this forum focuses on building green "One Belt and Road", promoting the cooperation between China and the countries along the "One Belt and Road" in eco-environment protection, and finding out ways to improve intellectual property protection under the current China-U.S. trade situation. 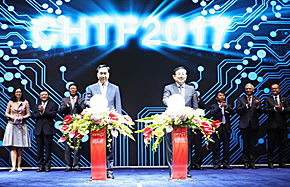 The forum has invited over 700 guests including government officials from the National Development and Reform Commission and the Ministry of Commerce, representatives of international cooperation agencies, investment and financing institutions as well as delegates from countries and regions along the Belt and Road route. Xu Changdong, president of WRSAEA and vice chairman of China Overseas-Educated Scholars Development Foundation, presided over this forum. 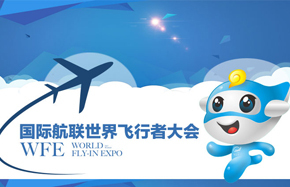 Bai Lichen, vice president of WRSAEA, pointed out that the Belt and Road initiative conforms to the trend of the times and is in line with the interests of the people of all countries, which provides promising prospects for Chinese and overseas enterprises. 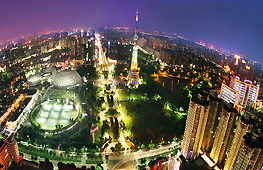 Dai Junliang, vice minister of the United Front Work Department of Communist Party of China Central Committee remarked that, at the new starting point of the 40th anniversary of reform and opening up, enterprises will usher in a broad prospect in their "going global" strategies. To this end, Dai provided three suggestions to these companies: First, tell Chinese stories in a smart way. Second, take the innovation-driven strategy. Third, give full play to the talents of overseas returnees. Cao Weizhou, director-general of the China Overseas-Educated Scholars Development Foundation, hoped that overseas returnees can combine their self-development with the Belt and Road initiative, and strengthen the bonds between China and other countries. 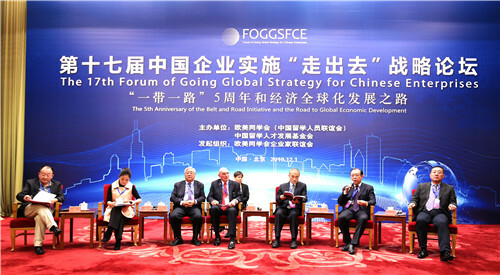 Wei Jianguo, former vice minister of the Ministry of Commerce, delivered a keynote speech at the forum. He mentioned that, having more thorough knowledge of Chinese and foreign cultures, overseas returnees can play a key role in the integration and sharing of industries. Wang Pijun, secretary general of Western Returned Scholars Association, also delivered a keynote speech. He said, first, the story of globalization needs to be taught by overseas returnees. Second, shouldering the responsibility of people-to-people diplomacy, the Western Returned Scholars Association tells a good story of the Belt and Road initiative. Third, the Belt and Road initiative is a long-term project, which requires a long vision. Stanley Barer, valued counsel to Chinese and US officials on US-China bilateral relationship, reviewed the “ice breaking trip” between the two countries---the symbolic voyage of the Liu Linhai to Seattle, and showed friendliness to China and the Chinese people. Zhou Guomei, vice director of the Ministry of ecological environment of the China-ASEAN Environment Cooperation Center, said that Belt and Road initiative is not only a road to economic prosperity, but also a road to green development. Zhou shared the layout and achievements of the green Belt and Road Initiative as well as the "2+4" plan. She also mentioned some green business opportunities brought by the initiative. 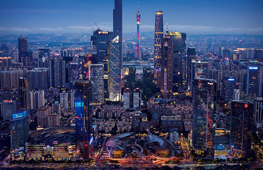 William Zarit, chairman of the American Chamber of Commerce in China and former minister for commercial affairs of U.S. Embassy in Beijing, remarked that the American Chamber of Commerce is willing to serve as a bridge to maintain sound business relations between the two countries. Liu Bo, chief economist of China Metallurgical Industry Group Corporation (MCC), introduced the implementation of MCC's "going global" strategy and shared his views business environment situation of Beijing in the new era. Dennis Bracy, CEO of US-China Clean Energy Forum, delivered a keynote speech and shared his ideas on the Belt and Road initiative and also gave some advice. 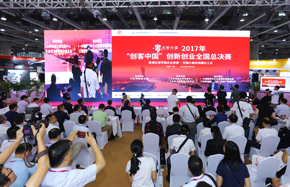 The forum also set two roundtable forums themed "Green, Protection, Steady and Farther---Green Ecology and Intellectual Property Protection" and "Mutual Benefit, Mutual Winner, Going Further and Going Steadily---China-U.S. Trade Retrospect and Prospect". 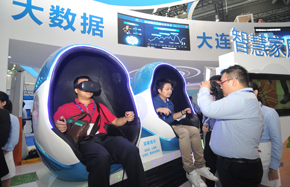 The first roundtable forum was centered on how to innovate and cooperate with each other to ensure ecological environment security, and promote the green "Belt and Road". The second roundtable forum reviewed the China-US economic and trade history and discussed the way in which to realize win-win cooperation between the two sides under the current China-US trade situation. It is learned that the forum will take up two days. 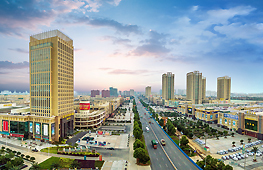 On Dec 2, the next session themed "5th Anniversary of the Belt and Road Initiative: Independent Innovation as well as International Cooperation and Innovation" will be held at the Northern Territory of Zhongguancun. 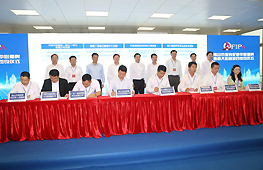 As a window to serve and connect overseas returnees, the Western Returned Scholars Association and the China Overseas-Educated Scholars Development Foundation will continue to build a better platform for overseas returnees to make contributions to the "Belt and Road" initiative and give new impetus to Chinese enterprises and the global economy.